The Interior Minister of Saxony wants to put into practice what is permitted under EU law: detaining asylum seekers whose identity and nationality are in question. The regulation is not yet part of German immigration law. 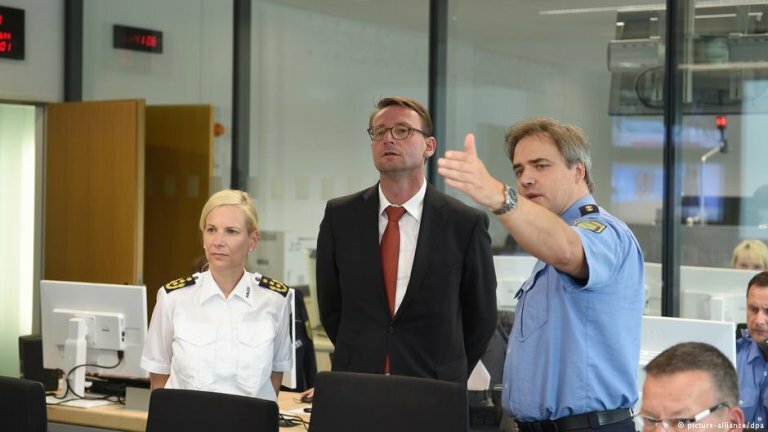 The Interior Minister of the German state of Saxony Roland Woeller told various media outlets that asylum seekers whose nationality is in question should be held in detention centers. Woeller also wants to see asylum seekers placed in pre-deportation detention rather than regular prisons, according to dpa. "We need this measure to work against deception in the asylum procedure", Woeller told the newspaper Freie Presse. According to EU guidelines, the detention of asylum seekers whose country of origin is uncertain is permitted, but Germany has yet to put this into practice. The Netherlands, Norway, Britain and Bulgaria are already making use of the measure. Woeller says the lack of regulation in Germany can cause deception and prevent legal deportations. Nationality is critical for refugees, as Germany can determine an asylum seeker's fate depending on if the country is deemed safe or too dangerous to return. Woeller is under pressure after the murder of a German-Cuban man by suspected asylum seekers drew massive anti-migrant protests in the Saxon city of Chemnitz. The protests drew harsh criticism as some protesters used Nazi slogans and raised the Hitler salute, an illegal act in Germany. The Federal Interior Ministry declined to comment on Woeller's suggestion, according to dpa, but said that European guidelines allow detention only if it assists in identifying a person.